Technology seems to make the world go round these days. And it certainly comes to the party when it comes to creating a virtual studio from your office, event venue or anywhere for that matter. 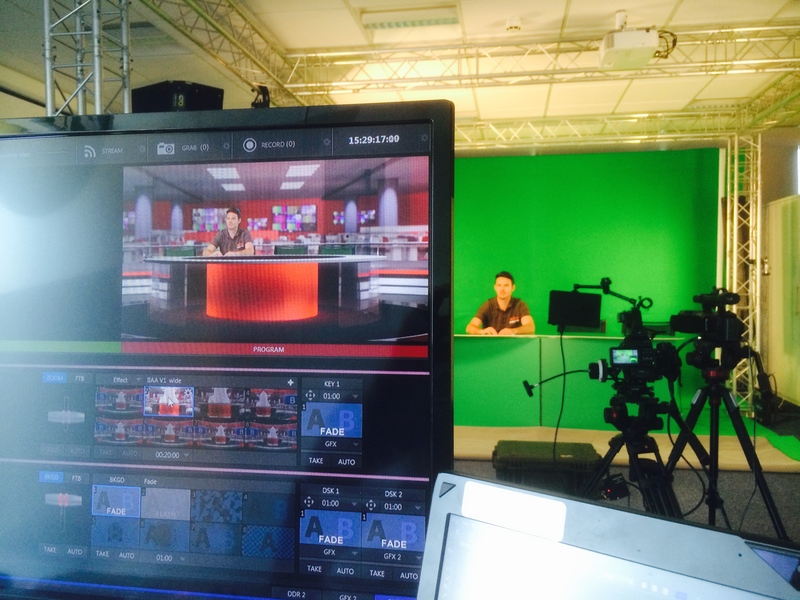 With a green screen, lights, camera and some very powerful technology in the form of Newtek’s Tricaster, every company can achieve netw ork style TV productions from their own offices. The best thing of all is that you don’t even need much space to do it. Having your own TV studio cost millions to build but you can achieve the same TV style production results at a fraction of the cost on your own doorstep. In fact you don’t even need to spend a penny on hardware or infrastructure. This sounds too good to be true but with a virtual studio the unthinkable is possible. At Bizzibox Films, we have helped several companies broadcast branded content from the comfort of their own offices without the lead-time and costs of hiring a studio. There is some initial set up in creating your branded virtual TV set but once complete you are ready to broadcast. With autocue to boot you don’t have to remember all your facts and numbers – just read and communicate to the world from your very own company studio. Virtual sets look as real as a studio and this technology is sure to enhance the way companies and brands communicate with their audience. Fascinating what can be done with technology these days. Sign me up for my own studio! Webcasting: How to improve Corporate Communications?